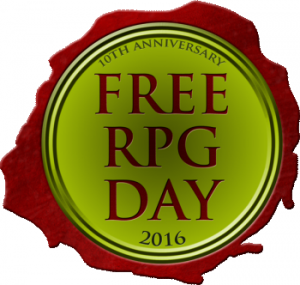 Free RPG Day is this Saturday, June 18th. Modeled on Free Comic Book Day, the event seeks to promote roleplaying as a hobby with free products distributed to patrons at participating game stores. Among the products available this year are Pathfinder modules, Feng Shui and Valiant quickstart rules, a Call of Cthulhu adventure, and dice.